Everyone wants to be healthy and yet we struggle with it a lot. To be healthy, you worry about the extra time which you will have to take out in your life or the morning sleep you will have to sacrifice for that yoga class. Being healthy might also mean that you will have to sacrifice your food and switch to a diet you don’t like. You almost feel judged whether you are doing enough. And then with these thoughts in your mind, health becomes this difficult pursuit resulting in a constant struggle to make it a part of everyday life. Is there a way out? Yes. And that is, to do healthy your way. Whether it is the choice to convert the dabbas in your kitchen into dumbbells, do a 10 minute workout while watching your favorite TV Show, use the playtime with your baby to squeeze in a few push ups, dance to your favorite tune & start eating right, you can find health. Only when we find own ways of staying fit and heart healthy, are we able to sustain them towards our journey to stay fit and have a healthy heart. Share YOUR way of being healthy. 15 best blogposts win vouchers worth Rs. 1000 each and the first 30 valid entries will get assured vouchers worth Rs. 300 each. Your fresh blogpost needs to be a minimum of 400 words. 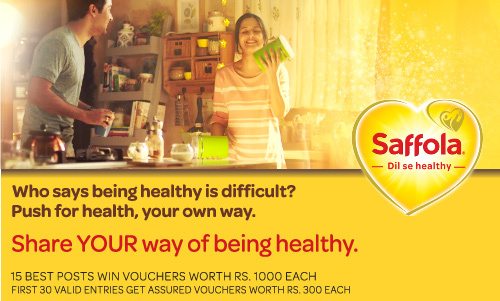 Please include this line in your post – I am joining Saffola #ApneTareekeSeHealthy initiative and sharing my ways of being healthy in association with BlogAdda. The last day of submission is September 21, 2017 midnight. Embed the above video in your blogpost. Kindly read the terms and conditions carefully. Submitted! How will I know if it is among the first 300 entries? I have submitted my entry. kindly check it out. I enjoyed blogging about #ApneTareekeSeHealthy and got inspired myself. I hope the readers also will enjoy the post and start thinking along the lines of making a fun game out of fitness activities. Thank you Blog adda for making me come out of a mini hibernation from blogging! I had such a great time talking about my unique relationship with my health and how I use little ways to do it my way! 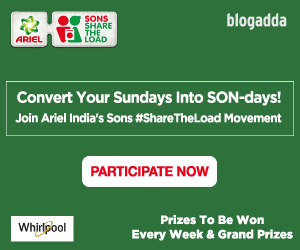 Has BlogAdda informed the first 30 entries winners? Because I did submit my post on the second day itself. How will I know. BlogAdda? I wrote a mail too! WOW: Experienced Something That Could Not Be Logically Explained? Blogadda provides Indian bloggers a platform to showcase their blogs. 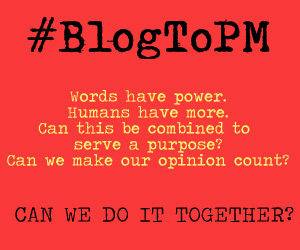 For readers, it is a resource to discover wonderful Indian blogs and Indian bloggers.